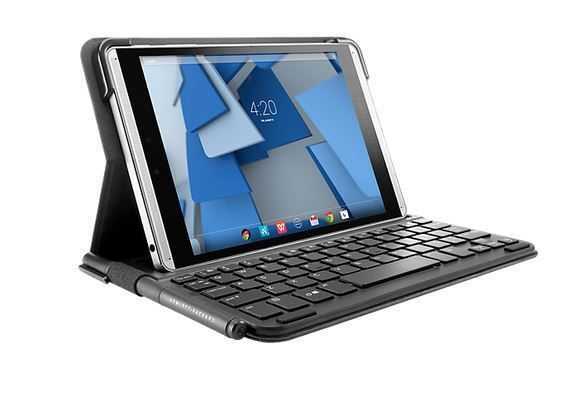 Tag Archive | "8-inch tablet"
The HP Pro 8 608 G1 is primarily for business markets like logistics, retail and blue-light industries but there’s nothing here that would look out-of-place in a coffee shop. The specs are really impressive given the small dimensions of the tablet. How about the 7.86-inch capacitive multi-touch, BrightView White-LED UWVA (2048 x 1536) screen with Gorilla Glass 4, a 4:3 Wide Aspect Ratio and up to 450 nits brightness. Phew! A USB-C port (USB 3.0 adapter available) with AC WiFi (Intel Dual Band Wireless-AC 7265, WiDi capable) and 3 cellular 3G/LTE options add up to top-of-the range connectivity and there’s NFC and GPS (I assume with the cellular modem option only) along with the usual set of movement sensors. Don’t worry about RAM and storage because the HP Pro 8 608 G1 one goes up to 128 GB storage and 4GB RAM and you’ll be able to order it with a range of operating systems, including Windows 10. A 15W charger is included and the screen has a digitizer layer. 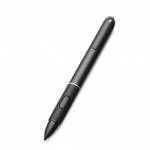 The digitizer pen is an option. The Micro SD card slot is expandable up to 2 TB according the official HP Pro 8 608 G1 spec sheet which also shows that the tablet has array mics, dual (2 + 8MP) cams and stereo speakers. A TPM module means you’ll be able to run Bitlocker disk encryption. Battery capacity: 21 Wh. 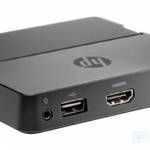 HP quote 8 hours video playback so expect 6 hours Web working. Weight starts at a very impressive 340 grams but you’ll need to add to that if you’re getting a loaded LTE-capable model. Retail listings show 420 grams max. The weight of the travel keyboard case is significant though. 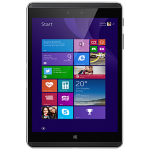 713 grams is twice the weight of the tablet and will take you up to 1 KG (2.2 pounds) in weight which ends up more than a Surface 3 which has the Atom X7 inside. Look again at the accessory list and you’ll find a Bluetooth keyboard case that weights just 115 grams which means you’ll can put a system together for under 1 pound in total weight. 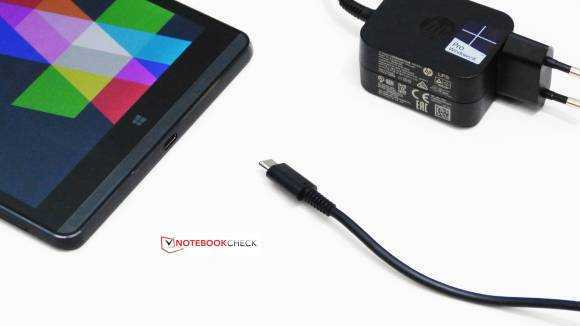 Size: 137 x 207 x 8.35 mm (5.39 x 8.14 x 0.33 in) which is 30 mm less tall than the Thinkpad 8 with just a small increase in width. (132/236/8.8 mm) That’s the advantage of a 4:3 aspect ratio and should make the tablet more orientation agnostic. I’m struggling to think of anything that’s missing here, apart from an Intel X7 CPU which could offer higher processing power. The Atom X5 8500 runs from 1.44 Ghz to 2.24 Ghz but an Atom X7 8700 would run up to 2.4 Ghz. Having said that, if there’s no thermal headroom in the design, putting an X7 inside is pointless. The X5 should give you a reasonable desktop experience covering heavy web browsing, Office, photo editing and even basic full HD video editing. If you’re wondering about native video output then you’ll have to re-think around USB-C which will add cost. Alternatively there’s a docking station with HDMI out, Gig-E and a USB port. Charging and data will be possible through either a Y-cable or separate 18W charger that connects to a docking port. 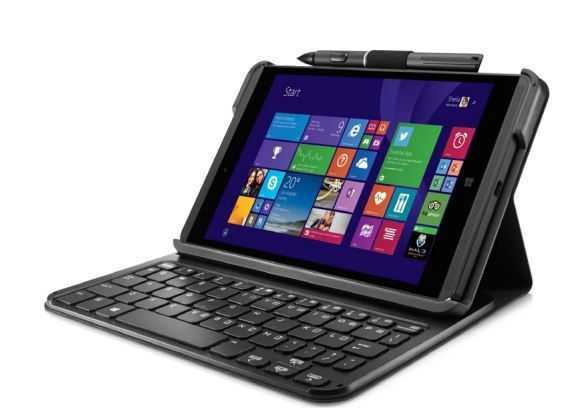 HP Pro Tablet 608 and accessory prices, availability. All this high-end technology, options and accessories is not going to come cheap. Looking around at retail prices though I am seeing a 4GB RAM / 64 GB model with 3G (HSDPA+) for 680 Euros (€571.43 pre-tax is about $625) and according to Liliputing the base model will be available for $430. I’m seeing a 128 GB / 4GB non-cellular model (P2C14UT#ABA) for $591.04 in the USA with availability in the next week and there’s an offer on the high-end version with LTE for just over $600. 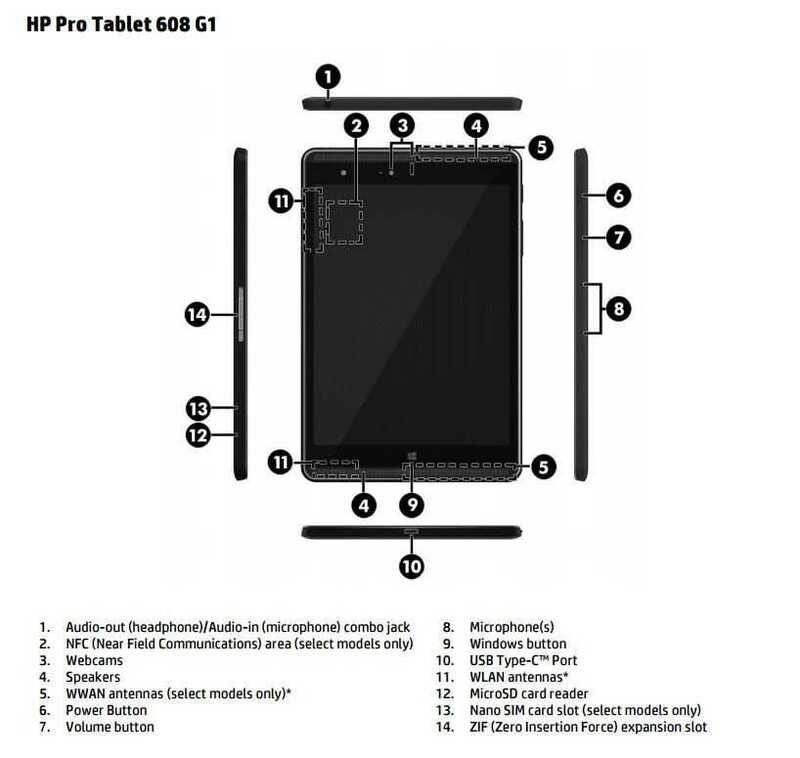 [Search Google for “hp pro 608 P2C14UT”] On the HP website you’ll find model P2C14UT with 4GB RAM, 128 GB storage and Qualcomm Gobi 4G for $599 although there’s a disclaimer on that price. HP USB-C to Video adapter : Pricing not found. The HP Pro 8 608 G1 is the first tablet I’ve seen that competes with the trusty Thinkpad 8 and with 4GB and USB 3.0 offers much better productivity than the cheap 8-inch tablets we’ve been seeing up until now. I have a request out to get a review sample and am looking forward to it. In the meantime, check out a hands-on by Brad Linder of Liliputing.